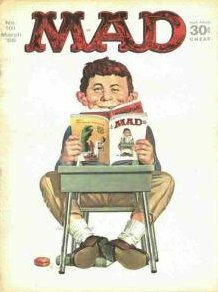 During the poplar TV airing's of Irwin Allen's Classic fantasy shows of the mid 1960's, the Mad Magazine Publication and Company had a field day adding to the fun of these classic sci-fi shows. 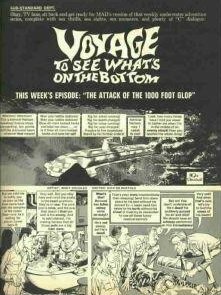 As with the famous article printed on Lost in Space and it's cast, Mad also added some fun to the cast on Voyage to the Bottom of the Sea. The Lost in Space cast sent a reply letter from June Lockhart with a funny face photo made by the cast. 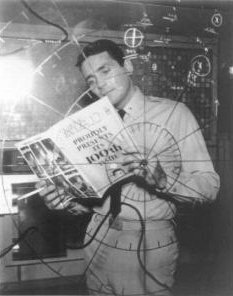 But with the Voyage cast there was no reply, and the printing of the article and comic strip went unnoticed by the fans.